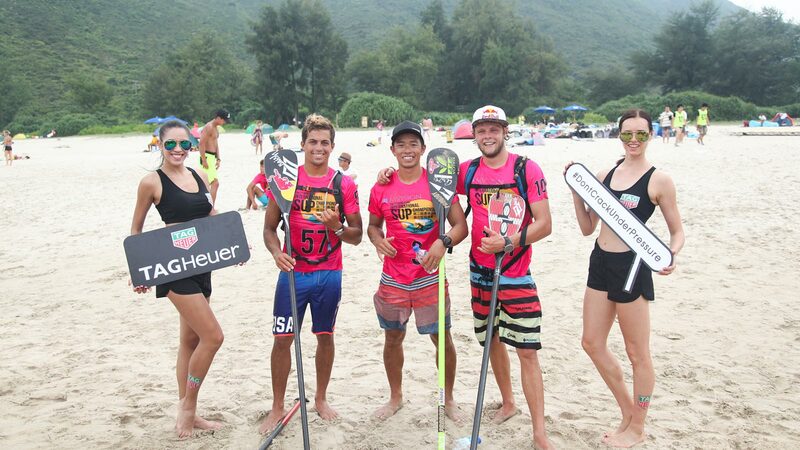 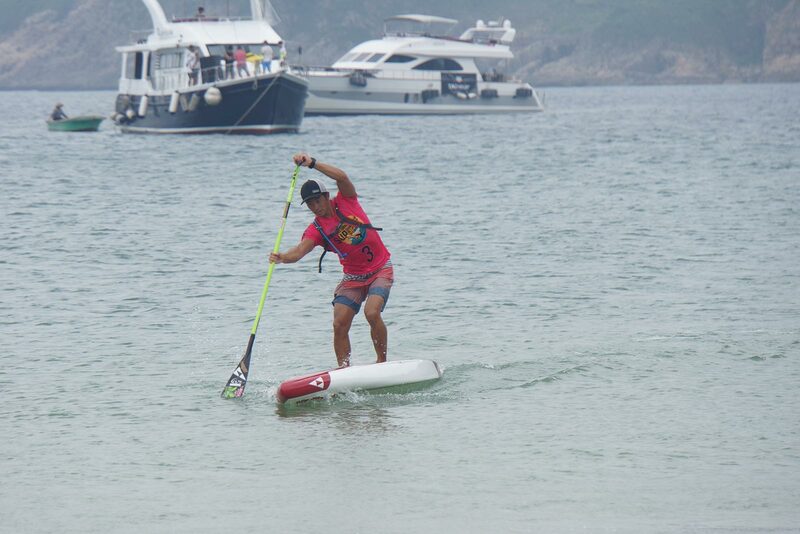 Kenny Kaneko has gatecrashed the Naish party in Hong Kong, defeating the superstar duo of Kai Lenny and Casper Steinfath, along with world number two Mo Freitas and the hero from Hood River, Bernd Roediger, to claim his maiden international race victory at the 2nd annual Hong Kong International SUP Championship. 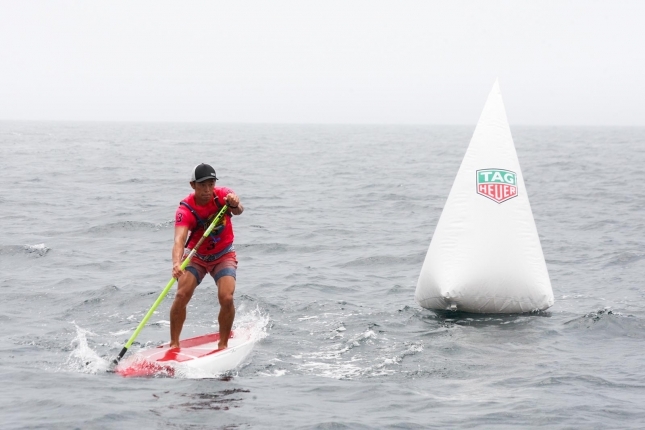 In challenging conditions, with a mix of flat water, sidewind, upwind and downwind that saw most of the field either retire or get pulled from the 21km (13 mile) elite course due to time limits, Kenny crossed the line in 2 hours, 28 minutes and 28 seconds, giving the SIC team rider a big win ahead of Kai (2:34:48) and Casper (2:36:26). 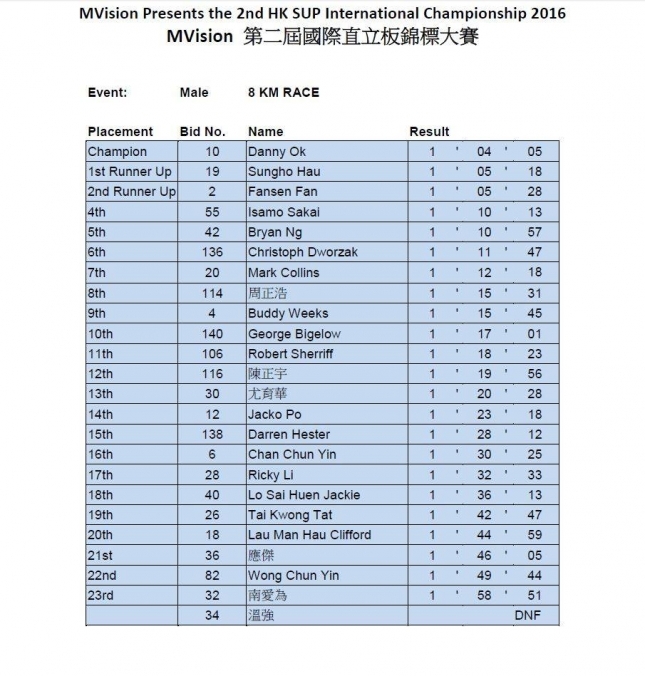 Bernd was 4th, while Mo was a mid-race retirement. 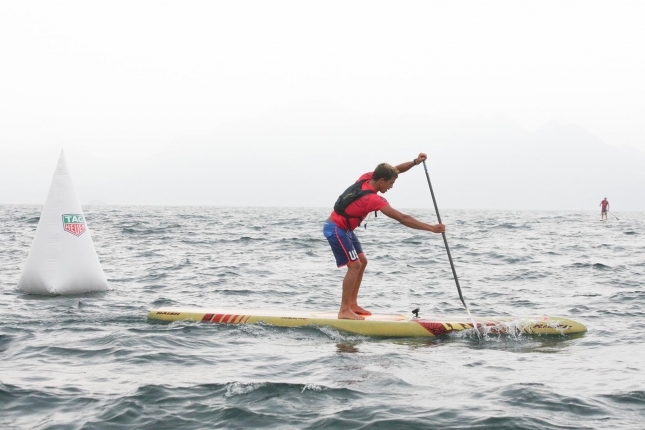 Kenny’s six minute victory underscores just how hard this guy works both on and off the water — you’ll be hard pressed to find a tougher-training, more dedicated athlete than Kenny. 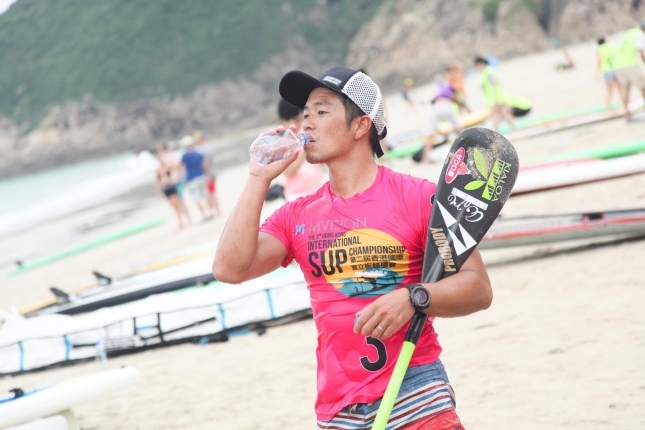 While the Japanese National Champion has had some strong results over the past few seasons, and is always hovering around the pointier end of the Top 100, this is Kenny’s biggest result to date. 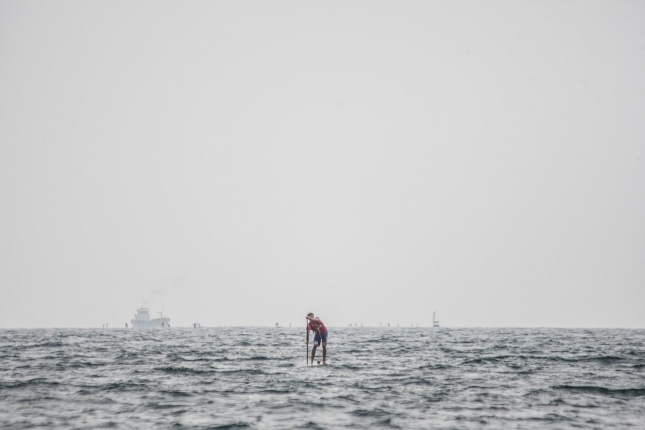 It may not have been against a large field, but to defeat four world class athletes in Casper, Kai, Mo and Bernd is a massive result. 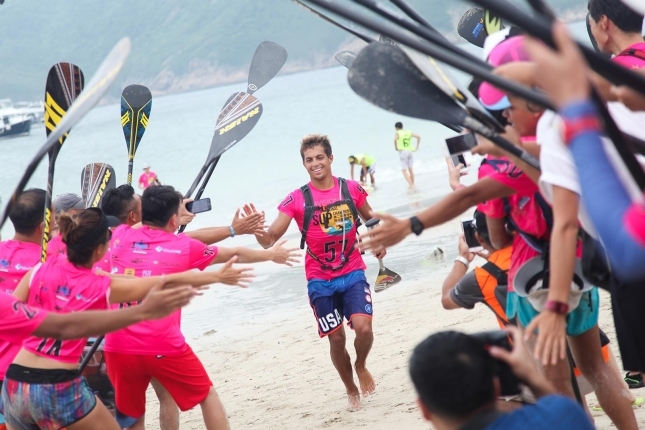 I chatted with Kenny on Facebook to get his thoughts about the race, with the champ full of praise for the event and keen to return and defend his title in 12 months. 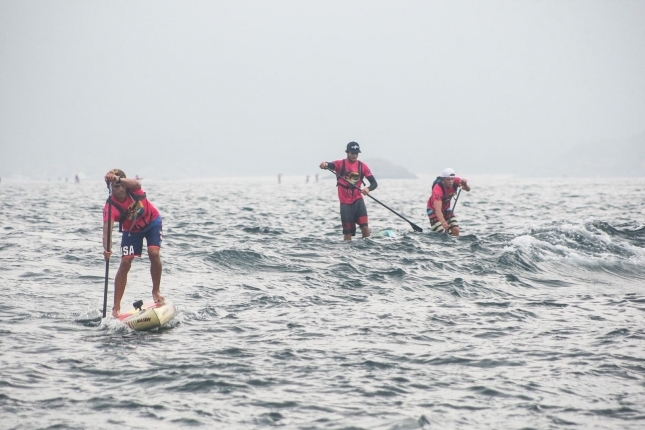 Meanwhile, this is how Casper summed up the conditions to me post-race. 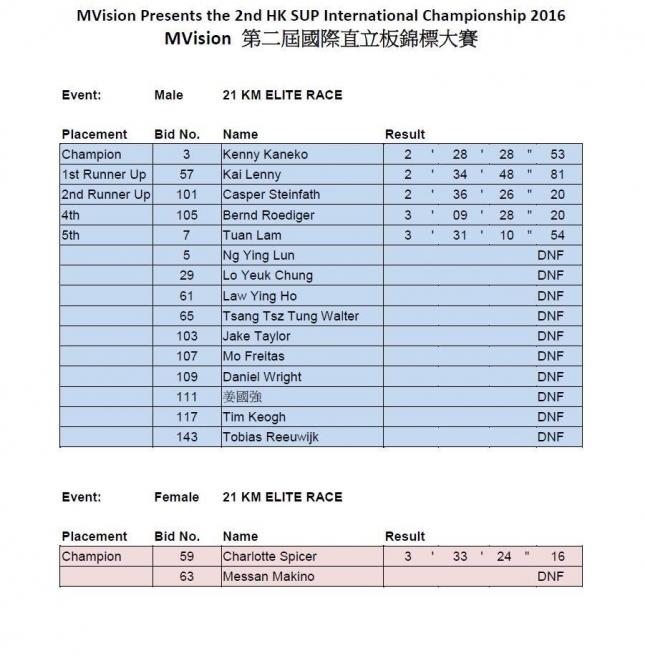 New Zealand expat turned Singapore SUP pioneer Charlotte Spicer was the sole survivor of the 21km women’s elite course, while Anna Mathisen took out the friendlier 8km race. 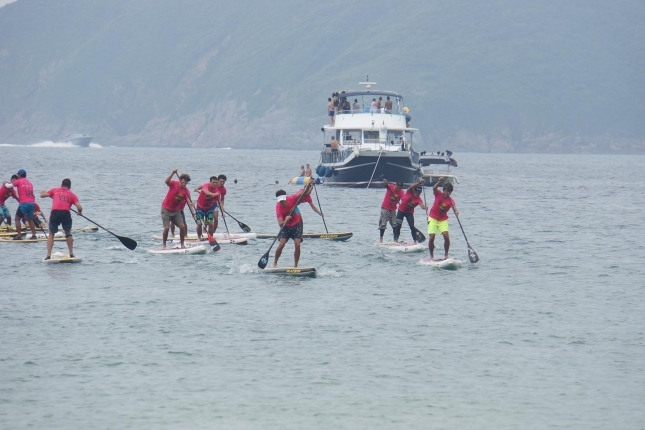 Despite the bumpy conditions in the long distance course, it sounds like the Hong Kong race, which is organised by the Hong Kong Stand Up Paddle Board Association (HKSUPBA), was a pretty cool event, with over 100 participants across the 200m, 1km, 8km and 21km races, while there was also plenty of support from a host of brands both within and outside the industry. Given that five of the world’s top male paddlers were on the start line, including three of the top six, the Hong Kong International SUP Championship also managed to sneak in on the World Rankings this year, scoring 16.5% on our Race Index to give Kenny 16.50 points and a well-deserved spot safely back inside the world’s top 30. 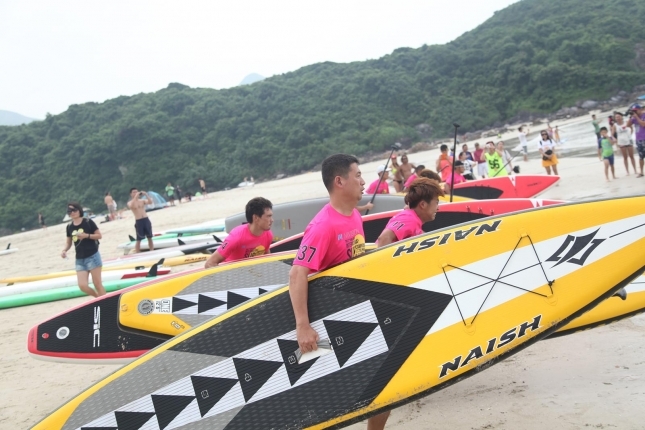 The Naish boys, Kai, Casper and Bernd, were actually in Hong Kong for most of the week, testing out some new board designs with brand manager Michi Schweiger, before having some fun in an exhibition race against the Hong Kong Firefighters dragon boat team. 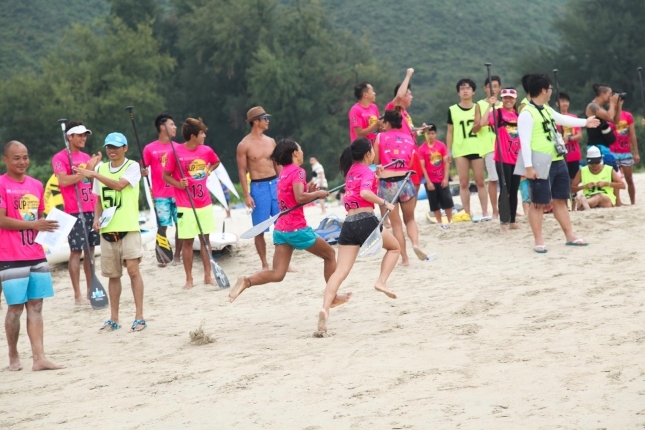 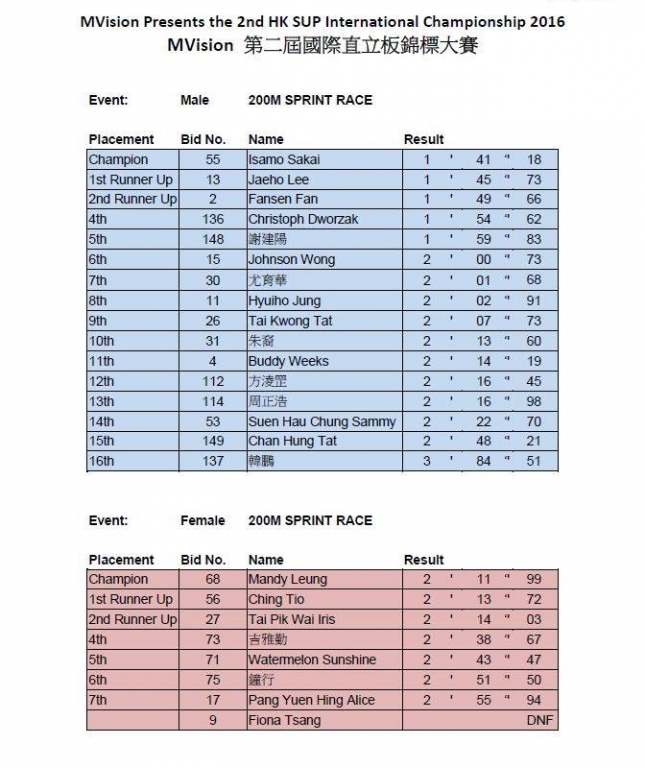 The novelty event involved three different sprint races: a 200 metre straight line sprint vs a 20-man dragon boat crew, and then again versus a 12-man crew, before finally a 400m race with a buoy turn in the middle against the full-sized boat. 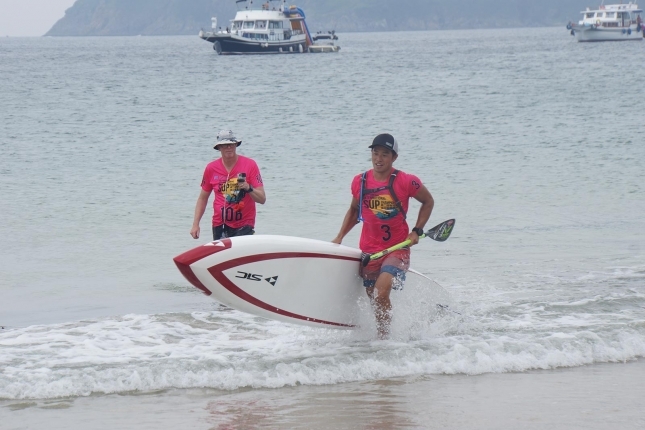 Despite having an obvious disadvantage in paddling power, on this final course, with the 180 degree turn at the halfway point, Kai managed to show once again that he’s a freak by hanging on for the narrowest of victories. 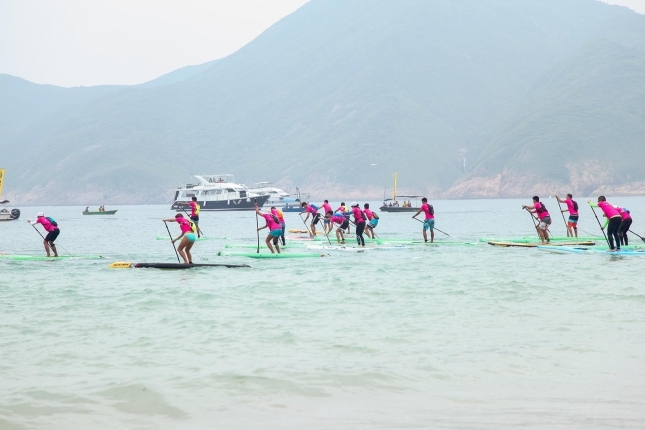 Although Hong Kong is still emerging as a stand up paddle boarding nation, this is the birthplace of dragon boat racing, with the modern version of the historical sport originating there in 1976. 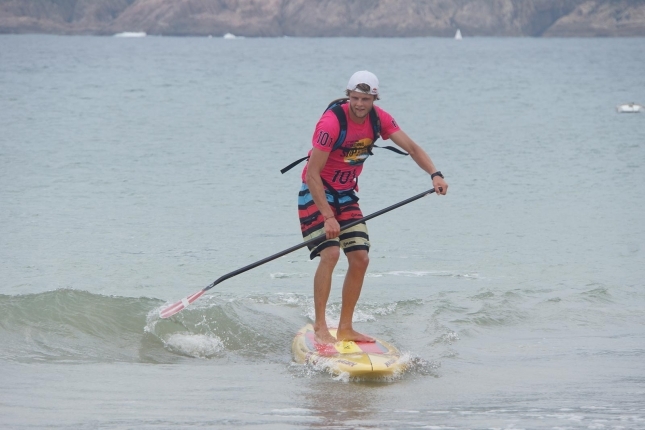 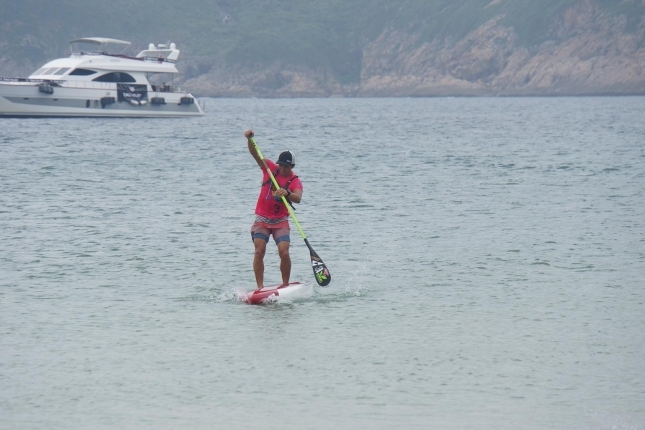 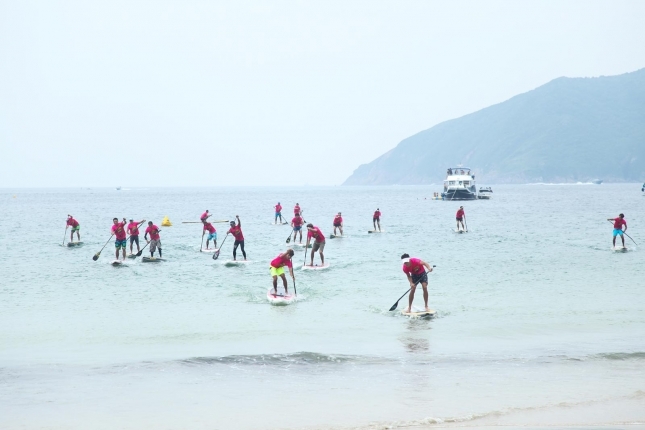 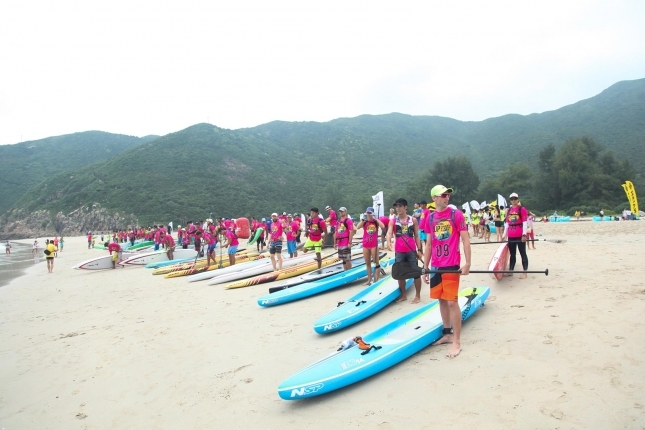 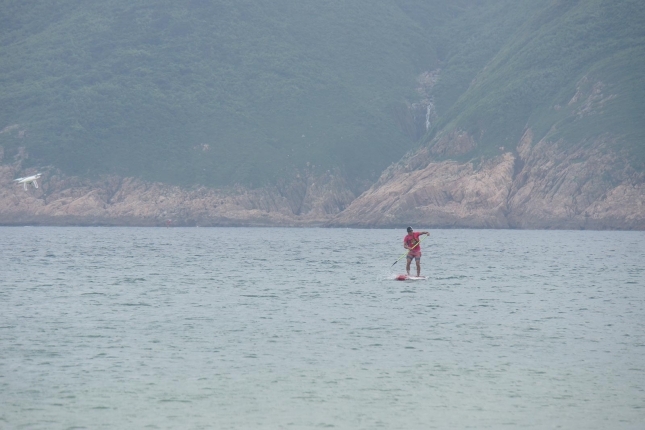 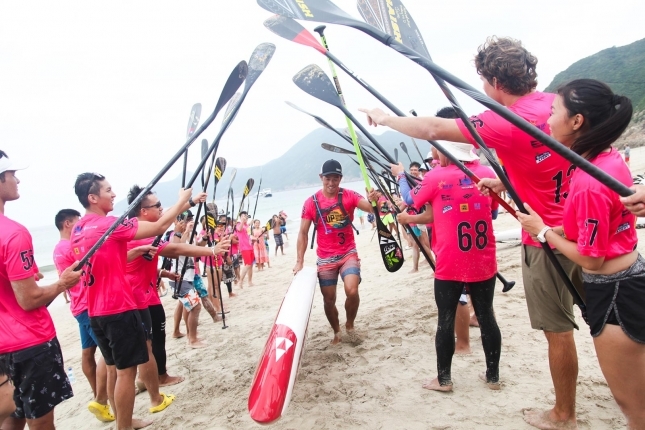 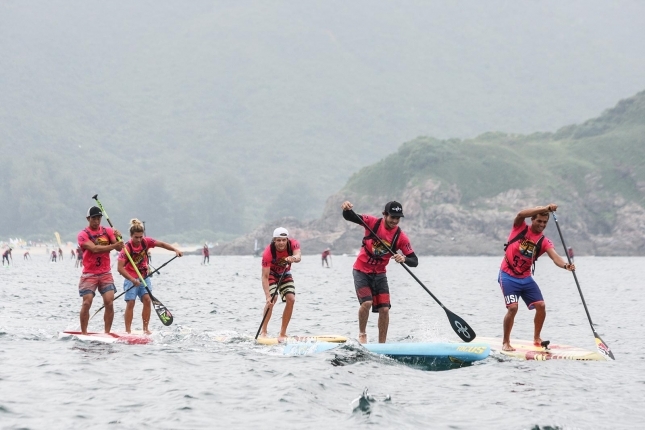 With that kind of established paddling culture, combined with the fact Hong Kong has no shortage of waterways (the territory covers 263 islands), and I think we’ll probably see the sport of SUP racing continue to grow there in the next few years. 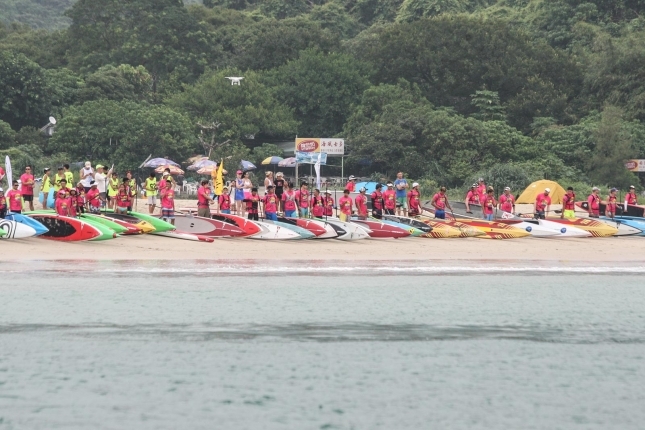 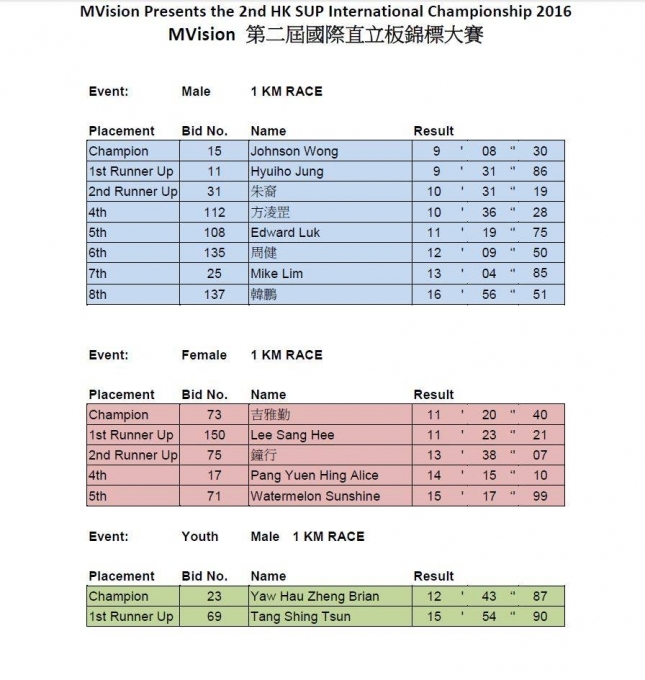 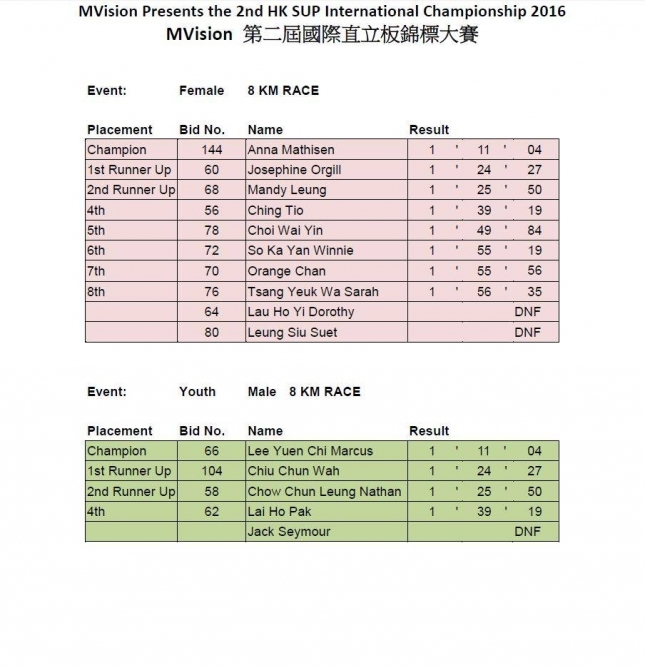 Congrats to HKSUPBA for pulling off a great event, and congrats to the paddlers that survived the intense conditions in the elite distance race. 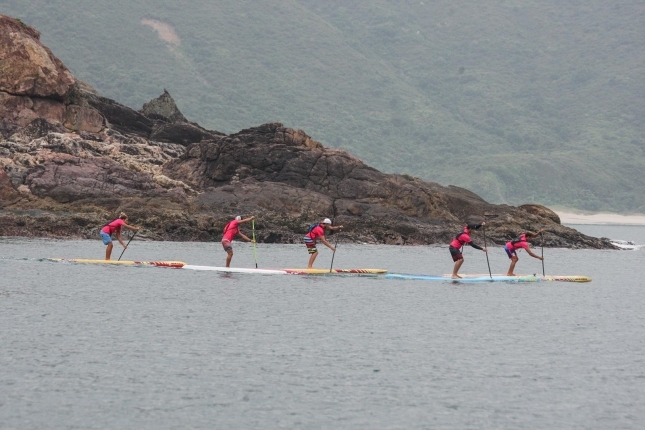 Plenty of great shots below, while you can scroll right down for the official times.